The 2011 U.S. Go Congress has just passed its first 100 registrants, including 41 dan and 52 kyu players, ranging from 7-dan to 20-kyu (click here to see who’s coming). The Congress is set for July 30 – August 7, 2011 in Santa Barbara, CA. 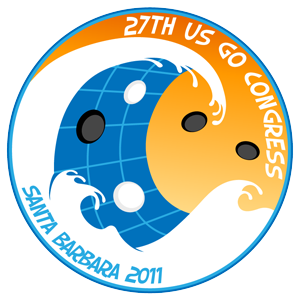 The U.S. Go Congress is the largest go tournament in the United States, an annual 8-day event. Events include the US Open — the largest annual go tournament in the US – the North American Ing Masters — 32 of the strongest amateur and professional players in North America — the Redmond Youth Cup, pro lectures, simuls and more.